Hydrogen as a major component of a future low carbon energy system, where it can bring significant benefits as a low carbon route to energy supply, and through providing services to energy networks. The gas network could be converted to hydrogen, to provide low carbon heating. 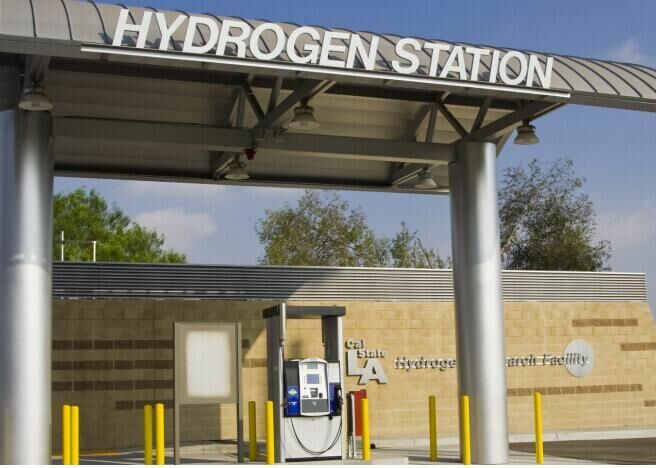 Hydrogen could enable more widespread penetration of renewable electricity. When combined with carbon capture and storage, hydrogen production can provide a route to low or even negative greenhouse gas emissions. None of these options are yet available at the scale required to deliver major energy system benefits, and so the actions recommended here are to prepare the UK to take advantage of these potential solutions. Fuel cells used in products that bring functionality benefits in their own right. Portable power, remote power using portable fuels and unmanned aerial vehicles each have a potentially important role to play in commercialising hydrogen and fuel cell technologies. Actions are concentrated around showcasing the products, awareness-raising amongst potential buyers, as well as removing unnecessary barriers. Eq)\^9G0 The graphic shows how the use of hydrogen and fuel cells in our energy system could be developed. The period to 2020 focuses on expanding the use of technologies available today, such as vehicles, fuel cell CHP and portable and specialist fuel cells, whilst planning and preparing for a greater role for hydrogen in the energy system. In 2020-2025 activity ramps up, with construction of systems needed for conversion of the gas grid to hydrogen, use of hydrogen in a wider range of vehicles, and multiple projects bringing regional benefits through production and use of hydrogen. After 2025 widespread use of hydrogen in heating, transport and industry is enabled by staged conversion of the gas grid, with low carbon hydrogen produced by routes including CCS. China Energy & Automobile Media Group Ltd.
CMIF Brilliance Convention & Exhibition Co., Ltd.
Beijing Sino Hydrogen Technology Co.,Ltd.